I made this Vanilla Maple Cashew Butter as part of the July theme for The Recipe Redux…which was creating a recipe using spirits, extracts or alcohols. I’m a big fan of making homemade nut butters like homemade peanut butter, homemade almond butter and a really unique one I created, Superfood Cashew Butter with Spirulina Crunchies, which is one of my favorites. But for this one, I started with a homemade cashew butter base (made with organic cashews) and added some vanilla extract and a little maple syrup for the sweetness. It was super easy to make with just a food processor and took less than 10 minutes. My boys really enjoyed it as a dip with apples instead of their usual plain peanut butter but it would also be good to spread over warm toast. It’s a flexible recipe too, because you could substitute the homemade cashew butter with organic store-bought cashew butter, or even another type of nut butter. And, you can substitute the maple syrup for your favorite sweetener. 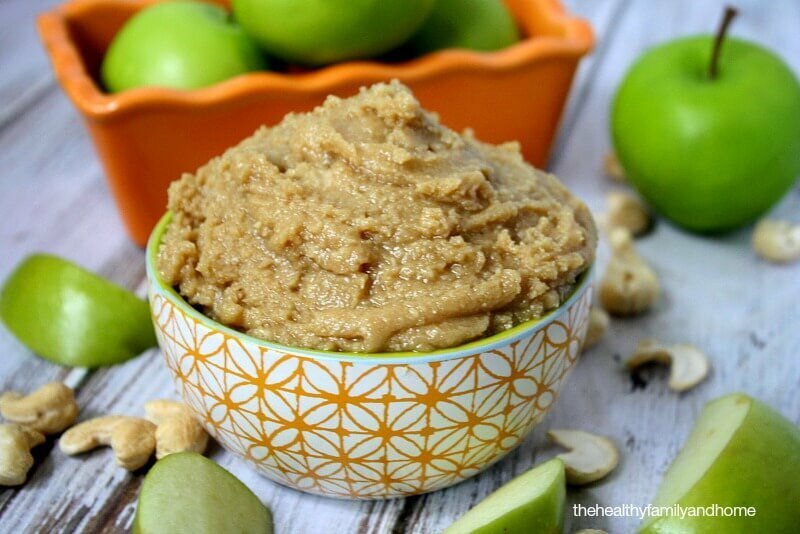 This is a healthy option to plain cashew butter or even peanut butter and it’s vegan, gluten-free, paleo-friendly and has no refined sugar. Want more healthy dessert recipes? Check out Crunchy Raw Protein Balls, Healthy Peanut Butter Cups, Vegan Coconut and Mango Chocolate Cups or my Clean Eating Cookbook with an entire chapter of 20 healthy, clean eating dessert recipes just like this one that you will love! Tip #1: I used (1) tablespoon of organic vanilla extract but feel free to add more if you want more vanilla flavor. Tip #2: Although the guidelines for this recipe posting called for an “extract”, I actually prefer to use organic vanilla bean powder when I make this because the vanilla flavor is more intense and you don’t have the strong alcohol taste like you do with the extract. If you use the vanilla bean powder, start with 1/2 a teaspoon and increase to your preference. Tip #3: I used homemade cashew butter as the base, but you could also use an organic store-bought cashew butter (or even substitute with your favorite nut butter, ex. almond butter, etc). If you do use a store-bought nut butter, you would only need (1) cup to replace the (3) cups of cashews. Tip #4: I used maple syrup as the sweetener, but feel free to use your favorite sweetener as a substitution. Tip #5: This recipe will make approximately (1) cup of nut butter. Step 1 Add the cashews to a food processor and process until creamy and smooth. This may take up to 5 - 7 minutes for it to change from a nut, to flour to nut butter, but stop every minute or so to scrape the sides. Add the remaining ingredients: vanilla extract, maple syrup and coconut oil and process again until everything is well blended and creamy. The recipe and photographs for "Vanilla Maple Cashew Butter" by Karielyn Tillman of The Healthy Family and Home are licensed under a Creative Commons Attribution-NonCommercial 4.0 International License and cannot be used without my written permission. This looks heavenly, love the combinations of flavors and great nutrition info included in the post as well!! I love this! So much better than dipping apples in caramel! Hi there Carrie! You know, I never thought about it until you mentioned it but it ~does~ taste a lot like caramel! And it’s probably much healthier than a caramel dip too! Can I just say I’ve made maple cashew butter and I think I ate the whole jar in one day? Cashew butter is my favorite! This looks awesome Karielyn! Hi there Sarah Grace! Yes, I can definitely believe it because I almost did the same…it’s so good! I love cashew butter , can’t wait to try this! I’ve never made a nut butter at home *gasp* and instead pay outrageous prices at the grocery store — crazy, right? I think this extra flavorful version would be a good recipe to get my feet wet with. Also, I never knew that maple syrup had calcium — nice! Hi there Kelly! It’s so very easy to make too! 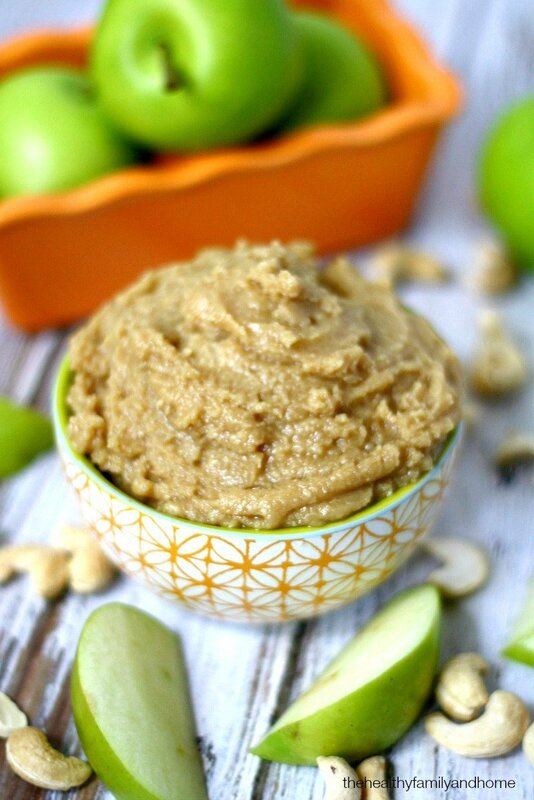 If you want just plain cashew butter, just use the same (3) cups raw cashews and process them in a food processor, which will take about 5 – 7 minutes for it to become super creamy…yum! I love this! I need a new blender so I can make it. 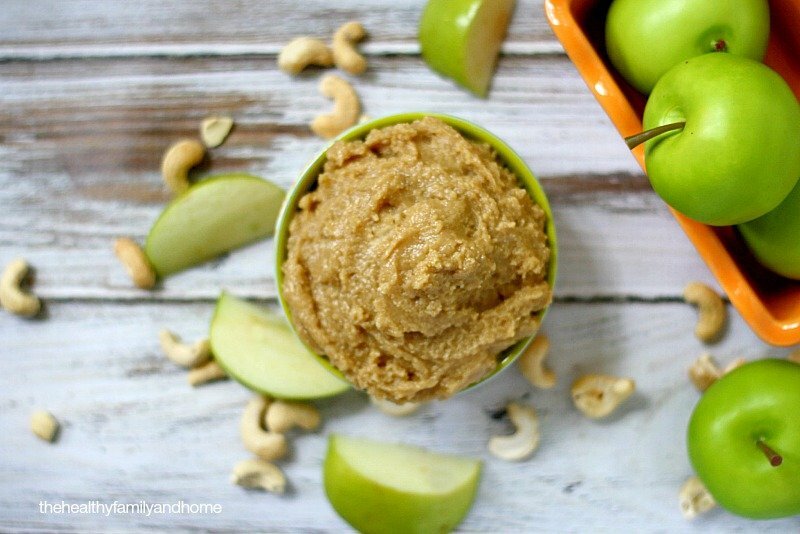 Cashew butter is the best and you can do so much with it! Pretty pics too!